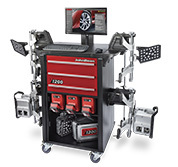 With a new notification system that provides critical information without slowing you down, the V3300 wheel aligner puts every alignment on the fast track. The groundbreaking user interface provides instant access to critical tasks in an intelligent flow, ensuring vehicle-specific assistance is always just one click away. 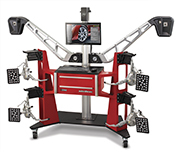 The V2400 Imaging Wheel Alignment System is one of the most advanced alignment systems on the market today. 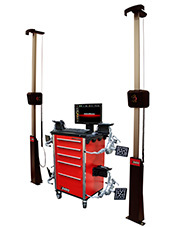 Patented imaging technology provides accurate and real-time measurements that improve productivity. User friendly features such as EZ-TOE, VODI and an extensive vehicle specification database delivers customer satisfaction, ease of use and accuracy. 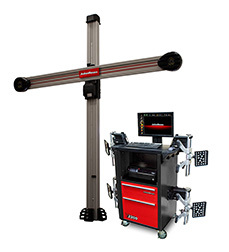 The V2300 Imaging Wheel Alignment System is one of the most advanced alignment systems on the market today. 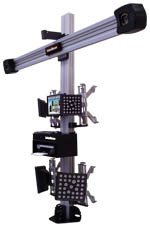 Patented imaging technology provides accurate and real-time measurements that improve productivity. User friendly features such as EZ-TOE, VODI and an extensive vehicle specification database delivers customer satisfaction, ease of use and accuracy. 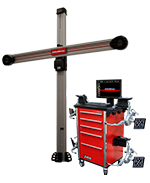 The V2200 wheel alignment system provides core features for the alignment professional. 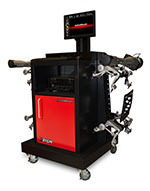 Patented imaging technology provides accurate and real-time measurements that improves productivity. User friendly features such as EZ-TOE and an extensive vehicle specification database delivers customer satisfaction, ease of use and accuracy. 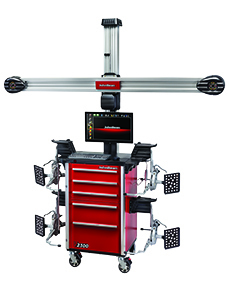 Using advanced XD cameras and sophisticated monitoring algorithms, the 320 Wheel Alignment System detects issues with suspension stress and errors form lift clamps, environment, and more. To save time and ensure accuracy on every alignment, users are notified only when necessary with additional information never more than one click away. 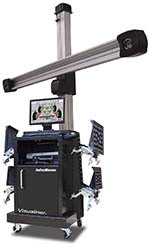 The John Bean Prism Mobile Wheel Alignment System is the world’s first alignment system to combine imaging alignment technology in a portable package. It provides dramatic productivity improvements and offers more features than conventional aligners, at a lower price. The Prism leverages a wireless communication system with Bluetooth® technology, cordless pods powered by lithium ion batteries, and components made from lightweight magnesium. the arbitration provisions. This web site is best viewed in the most recent version of Internet Explorer, Firefox, or other compatible browsers.